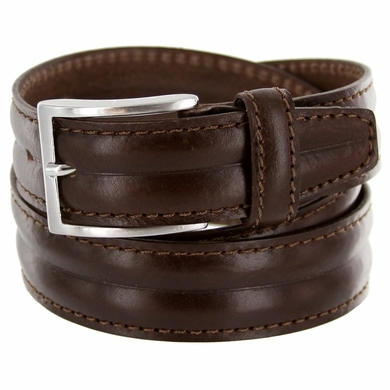 Men's Belt Genuine Leather 1-3/8" (35mm) wide. This model has a special skiving (thin sliced cut) that produces the middle row. Sports stitching in the same color. Polished nickel buckle.